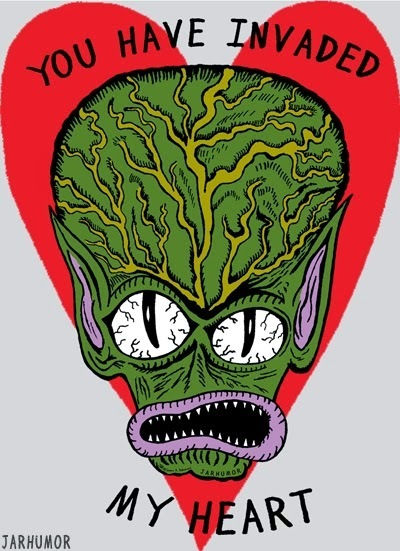 Paranormal Pop Culture: Horror Valentines to Show Them You Scare! 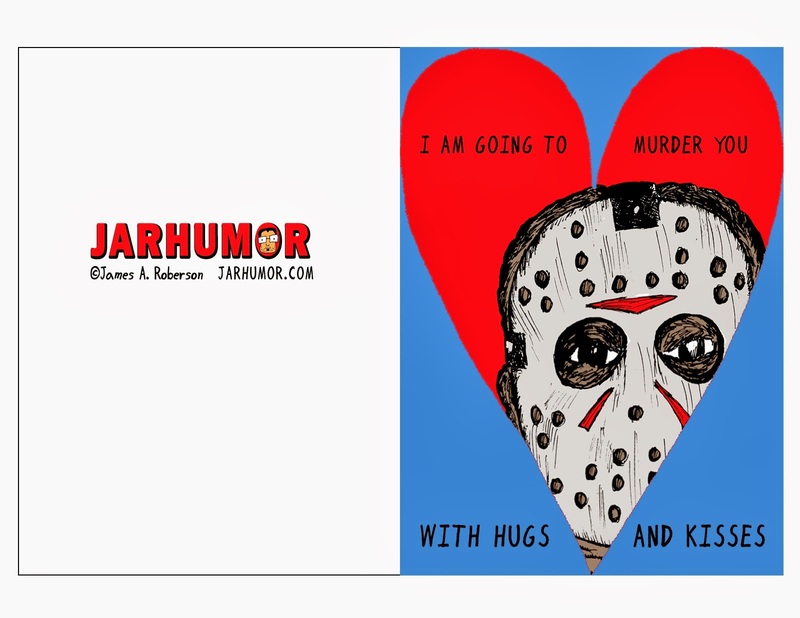 Horror Valentines to Show Them You Scare! 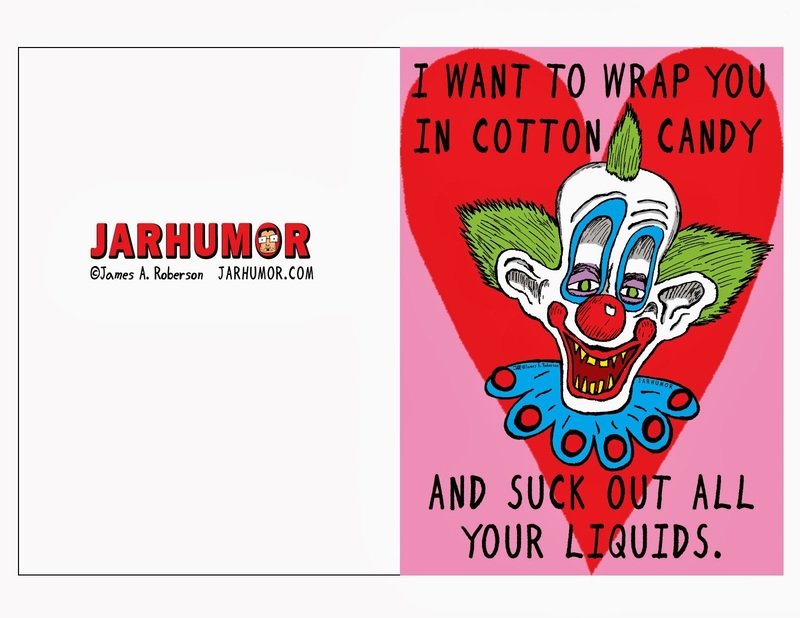 The self-proclaimed "Ed Wood of Cartoon Humor," James A. Roberson has created some awesome, printable horror-Valentines (Horrortines?) over on JARHUMOR.com and we really wanted to share them with our readers. 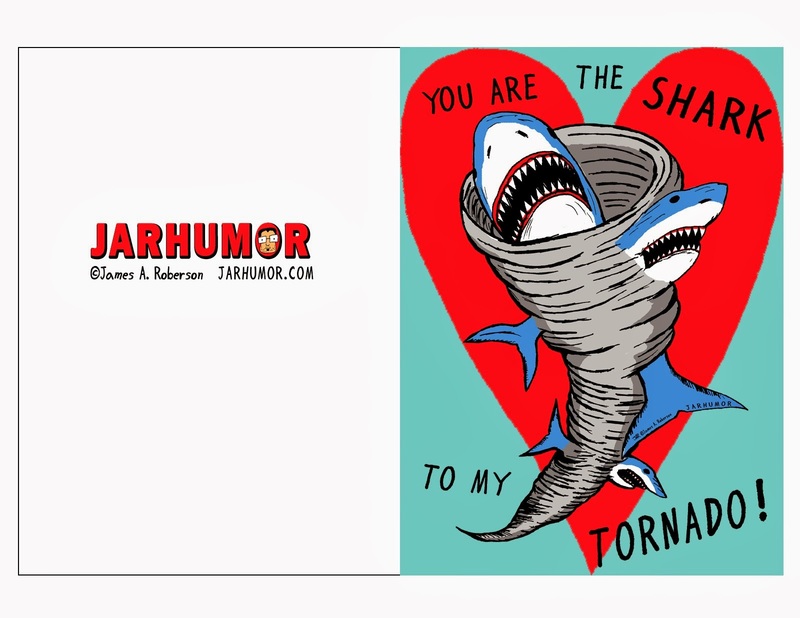 Whether you're a fan of the holiday or not, these cards based on such classics as "Friday the 13th," "Critters," "Killer Klowns from Outer Space," "Invasion of the Saucermen" and even the recent pop culture hit, "Sharknado," will warm your heart and "show them you scare." 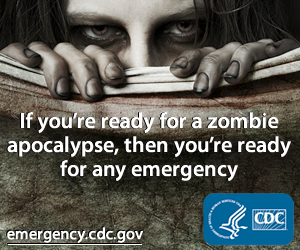 Head over to the site to print and share. Below are some examples for you to pine over and of course, have a Happy Bloody Valentine's Day!